There are as many as 41 University-level committees, to which there are 118 undergraduate student representatives. McGill University is huge, and most of the groundwork for new initiatives on campus begins in such committees. However, these committees’ work can sometimes go unnoticed or unknown in the broader campus community. 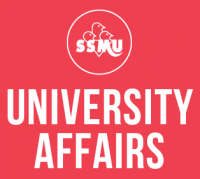 Starting in Fall 2015, SSMU University Affairs started mandating student reps in these committees to submit reports for dissemination. In Fall 2017, the committees worked on many issues that are pertinent to the campus community, and their report can be seen here. You can also see the reports from previous semesters here. If you’re interested in getting involved, stay tuned for call-outs for committee representatives in March/April!